Another day, another twist in Spain’s political drama. The country’s constitutional court has suspended a session of the Catalan parliament scheduled for Monday in which local leaders were expected to unilaterally declare Catalonia’s independence. Thursday’s ruling followed a legal challenge by the Catalan Socialist Party, which opposes secession, El Pais newspaper reported. Catalan President Carles Puigdemont said on Wednesday that he favoured mediation to resolve the standoff, but that Spain’s central government had rejected this. 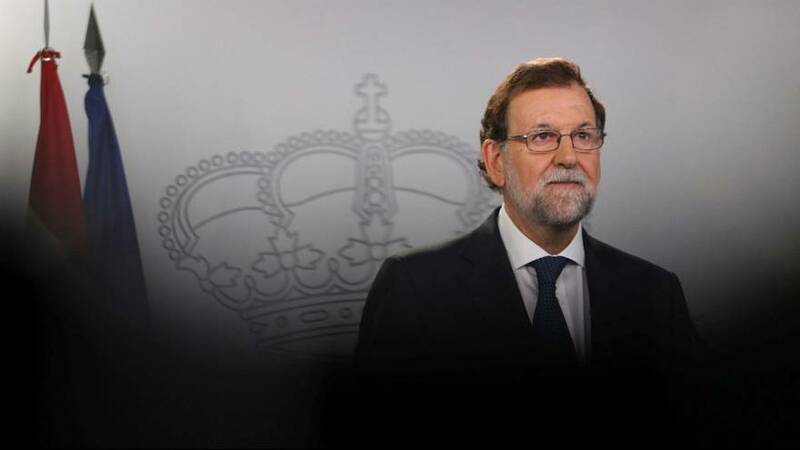 In an interview with Spanish news agency EFE, Rajoy said the solution to the Catalan crisis was a prompt return to legality and “a statement as soon as possible that there will not be a unilateral declaration of independence, because that will also avoid greater evils”. Rajoy did not elaborate but ruling party lawmakers say he is considering drastic measures to prevent the wealthy region from breaking away from Spain. These would include the unprecedented step of dissolving the Catalan parliament and triggering regional elections. Participants in Sunday’s referendum backed independence with 90 percent of the vote, but turnout was only about 43 percent as most Catalans who prefer to remain part of Spain boycotted the ballot, which Madrid had called unconstitutional. Puigdemont said he did not fear being arrested for organising Sunday’s vote. “Personally, I am not afraid of that,” Puigdemont said in an interview in the German daily Bild published on Thursday. “And I’m not surprised any more about what the Spanish government is doing. My arrest is also possible, which would be a barbaric step,” he added. Neither the Spanish government nor the judiciary has threatened to arrest Puigdemont, though Madrid accuses him of breaking the law by ignoring a Constitutional Court ruling forbidding the referendum from going ahead. The EU has called for dialogue, but the Spanish police crackdown on Sunday’s vote and the Catalans’ defiant “yes” have deepened the standoff. On Wednesday, in a televised address, Puigdemont renewed his call for international mediation but said the results of the referendum would have to be applied. Rajoy has ruled out international mediation and instead suggested all-party political talks in Spain to find a solution, on the condition Catalonia give up on any plans to declare independence. “We will go as far as people want it. But without the use of force. We were always a peaceful movement. And I am sure that Spain will not be able to ignore the will of so many people,” Puigdemont told Bild. Catalonia: why do some want independence from Spain?